Can you remember the last day that you didn’t see a teenager taking a photo of themselves with their phone to upload to one of the myriad social media websites? Unsurprisingly, the word “selfie” was officially introduced into the English language in 2013 through addition to the Oxford Dictionary. The obsession that many teens have with sharing their lives (and faces) on social media has led some psychologists to believe this group is growing up to be narcissists. Data gathered on the subject confirm a sharp increase in narcissism in the past decade that corresponds with the proliferation and increased use of social media, but there is not yet data conclusively linking the two. Narcissism (or narcissistic personality disorder, NPD) is a mental disorder in which “people have an inflated sense of their own importance, a deep need for admiration and a lack of empathy for others.” While young adults go through a “narcissistic” period in their lives to establish their own identity and break away from caregivers, a recent study in younger teenagers showed strong correlation between heavy Facebook use and some of the negative traits associated with narcissism, suggesting social media sites are promoting earlier adoption of narcissistic behaviors. With the majority of teens using multiple social media sites each day — 71% of American teens in 2015 — a debate has sparked over how social media use can contribute to teen narcissism. While the negative effects have been at the forefront of conversation in recent years, there are important psychological and social skills that can be enhanced by the use of Facebook and other sites. For example, Rosen also mentioned that heavy Facebook users appear to show stronger empathy toward their online peers, which is a good indicator of real-world empathy. In addition, active social media users are far more likely to have enhanced self-esteem and a greater sense of well-being than their peers that only moderately or rarely use social media. Finally, social media appears to be an outlet for many with low self-esteem/depression or eccentric interests to connect with others more easily and without judgment. With this in mind, it is apparent that the positive effects of social media strongly correlate with an individual’s perception of self. Self-promoting behaviors, like frequently posting status updates, uploading new profile pictures, and posting quotes praising themselves, are highly associated with narcissism. Other social media behaviors associated with narcissism include posting photos of celebrity look-alikes, cultivating a large number of Facebook friends, and selectively posting only positive attributes of one’s own life. But are these narcissistic behaviors truly causing young people to develop clinically-defined NPD or, rather, are they just the new normal? Despite the lack of conclusive evidence on a causal link between the two, it is clear that heavy use of Facebook and other social media platforms is highlighting the narcissistic behaviors in people of all ages. There are certainly other factors contributing to the rise in narcissism in youth and adults — America’s promotion of self-esteem and focus on wealth and physical attractiveness, to name a few — though the visibility of social media likely heightens the perception of its causal role. 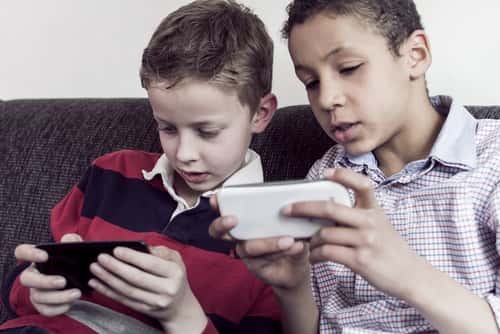 The sheer volume of social media sites and accessibility of teens to the internet and mobile devices presents a challenge for parents looking to limit this type of behavior in their children. Thankfully, there is an abundance of advice available on the internet. Dr. Rosen found, in his 2008 study, that parents who establish firm rules and boundaries (authoritarian style) have children with more self-esteem and less depression than their peers. Furthermore, Rosen suggests that parents become active participants in their child’s life by listening more — “talk one minute and listen for five” — and keeping up-to-date on the latest technologies, apps, and trends. In addition, monitoring your child’s online surfing behaviors and social media interactions can help parents determine the most significant influences in their life and promote open dialogue between parent and child. Parents should actively work with their children to create balance between online life and reality that promotes “normal” social behavior without discouraging their need to learn and grow.